We understand that a DWI or Drug DUI arrest can happen to anyone, but one mistake or a few beers should not ruin your life. New Jersey prosecutors often seek the harshest possible punishments for DWI offenses. Even a first offense DWI can result in a sentence of up to 30 days in jail and mandatory revocation of your driver’s license for up to one (1) year. And if you’ve got multiple DWI convictions, you could be looking at up to six (6) months in jail and suspension of your driver’s license for ten (10) years. Obviously, DWI charges are serious. If you have been charged with drunk driving in Morristown, Mount Olive, Parsippany, Rockaway, Hanover, or elsewhere in Morris County, you need an experienced and aggressive New Jersey DWI defense attorney on your side. The Tormey Law Firm has a team of highly skilled DWI defense lawyers who understand the nuances of New Jersey DWI law. Our firm’s founding partner, Travis J. Tormey, has handled thousands of criminal and DWI cases in New Jersey courtrooms. Mr. Tormey is also one of only a handful of attorneys in the state who is certified in the operation and maintenance of the Draeger Alcotest 7110, the breath-testing device used by New Jersey law enforcement in the majority of DWI cases. He possesses the knowledge and experience needed to challenge the admissibility of the breath-testing results in your case. 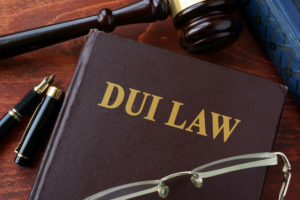 Statistically speaking, hiring an experienced Morris County DWI defense attorney might be your only hope of avoiding the most serious DWI penalties and potentially getting the charges against you dismissed entirely. Our top priority is always to help you beat your DWI charges. To this end, Mr. Tormey has developed a series of advanced defense strategies, some of which can be seen in his video series on “How to Beat a DWI Charge.” If you are facing DWI charges in Morris County, you can access all of the DWI resources provided below and also call our offices in Morristown at (908) 336-5008 to receive a free consultation about your DUI case. If you’ve been charged with a DWI in Morris County, do not hesitate to contact the Tormey Law Firm. One of our experienced DWI defense lawyers will be happy to review the facts of your case and answer any questions you might have about your charges. We know how to successfully fight DWI charges in New Jersey. Contact us today for a free consultation about your case. You can contact us at (908) 336-5008 or toll free at 866.949.6948, or use the online contact form to schedule an appointment at our conveniently located Morristown office.